It was 3 days before the Bank Negara Malaysia's Interoperable Credit Transfer Framework (ICTF) came into effect on 1st July 2018. Thomson Reuters' Risk Management team organised an event to discuss the role of ICTF in Malaysia's move towards a cashless society. 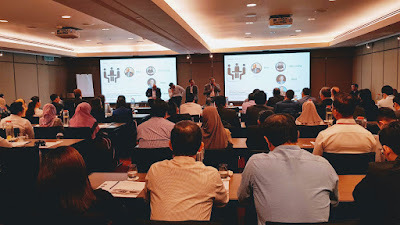 This event held in Kuala Lumpur was joined by respectable industry players, legal & compliance practitioners and government agency in the form of discussion forum. Innov8tif was at the event to share our latest development in e-KYC for "document not present" use case, which now also features an out-of-the-box integration with Thomson Reuters' World-Check to support our client's risk management needs. The ICTF seeks to foster an efficient, competitive and innovative payment landscape in Malaysia by enabling the interoperability of credit transfer services and promoting collaborative competition between banks and non-bank electronic money (e-money) issuers through fair and open access to shared payment infrastructure. (source: Bank Negara Malaysia). When fully embraced by banks, e-money issuers and fintechs, Malaysia's residents would witness cashless experience on daily routines. For example, splitting of lunch bill among colleagues will no longer involve bank notes and small change. It may become second nature for me to re-pay my lunch bill to another co-worker, electronically from e-wallet, without even considering if we are sharing the same e-wallet platform or having an account with the same bank - all these with zero transaction charge! What Came into Effect from ICTF? All banks have waived transaction fee for instant interbank fund transfer of RM5,000 or below (per transaction). This is one of the key aspects in ICTF to spur and encourage e-wallet or e-money use cases and adoption. Most if not all, of the e-wallet apps observed in Malaysia, are using QR-based cashless payment. ICTF requires eligible e-money issuers to adopt a common and standardised QR code format for merchants. 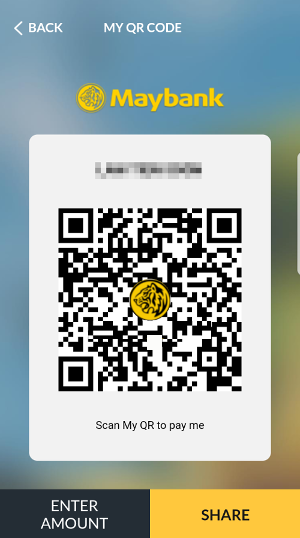 Though it doesn't preclude e-money issuers from offering their own QR, but at minimum – the universal format must be offered. This measure helps merchants to embrace and accept cashless payment from multiple e-wallets, without having to display 10 or more QR at the cashier. Maybank QRPay is one of the earliest banks that already adopted the standard – PayNet QR. ICTF policy outlines the use of common identifiers by customers, through a central addressing repository known as National Addressing Database (NAD). Conceptually speaking, it links a bank account or an e-money account to common identifiers of an account holder such as mobile phone number, National Registration Identity Card number or company/business registration number. However, the actual mechanism of NAD and its ID data sources, remains unclear at the moment. Will the access of National Addressing Database be open to entities other than the banks and eligible e-money issuers? The NAD is seen, potentially as a golden source of online ID repository – which, is inevitably useful for e-KYC of any consumer-facing industry. The e-wallet race is heating up rapidly. The shift to cashless society requires, not just participation from e-money issuers and innovative ideas, but also - the great behavioural shift among consumers. ICTF policy helps to iron out foreseeable frictions and promotes a more competitive landscape for all participants by lifting transaction fee. Currently, there are already 40 licensed e-money issuers in Malaysia, competing to secure top spots. An e-money issuer that can successfully tap onto the above described core daily activities, will most likely win the race.